Anne and Jim Freiburger purchased a summer home in the Colon Community in 1979 and retired there in 2000. It soon became apparent that Glen Oaks Community College provides a tremendous opportunity for area residents to get additional training/ degrees. In 20 11, their Grandson chose to attend Glen Oaks and play baseball. Through his involvement over the next two years the Freiburgers gained first hand knowledge of what a difference the opportunity to attend GOCC can provide, especially for the non-traditional student. Hence the funding of the scholarship. Financial circumstances, academic ability, and career goals will be taken into consideration in selecting recipients. The recipient will be expected to maintain a 2.0 GP A semester grade while receiving this scholarship. Student will be selected by the Freiburger family. Recommended student will be reviewed by the scholarship committee for final approval. 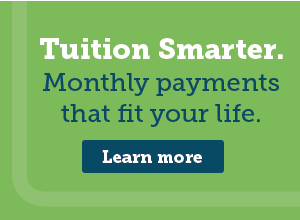 This scholarship may be used for tuition, fees, books and all supplies. This fund is set up as an endowed scholarship and monies will be held in a restricted endowed account. Funds will be held for two years for income growth before distribution is made. The donors will contribute additional monies for tuition and fees until the endowment has income growth to distribute.